Apple didn't provide any Earnings Per Share guidance for the coming quarter. The reason: the company has plans to buy back billions of dollars worth of its own shares. And currently, "they don't know how many shares they will buy back." In addition to Apple's announcement of changes in how it will report software revenues, Global Equities Research analyst Trip Chowdhry noted a separate change related to Earnings Per Share guidance. While Apple reported $13.81 EPS in the last quarter that beat The Street's consensus of $13.48, it didn't offer an EPS guidance for the coming quarter. The simple reason, notes Chowdhry, is that Apple doesn't know how many shares will be outstanding because "they don't know how many shares they will buy back." In part, that's because the wild fluctuation in Apple's share price is having an unpredictable impact on the number of shares the company can afford to buy with its initial allocation. The company could also decide to take advantage of severely discounted stock prices to accelerate its stock buyback program. Because the number of outstanding shares is subject to unpredictable change, Apple can't confidently report guidance on its Earnings Per Share going forward. Apple originally announced having "authorized a $10 billion share repurchase program commencing in the Companys fiscal 2013, which begins on September 30, 2012. The repurchase program is expected to be executed over three years." In early October, just after the program was slated to begin, Apple's share price reached above $670. If the company had bought up shares using the first third of its $10 billion buyback fund, it would have been able to buy 4,975,000 shares. If the company waited and spent the same $3.33 billion buying shares after its earnings call, it could have instead afforded to buy over 7,593,000 shares. If the company accelerates its buyback program, it could spend even more of its $10 billion in allocated cash to swoop up shares. For the last quarter, the company stated it had already deducted $2 billion from its from its cash pile for stock buyback, in addition to $2.5 billion allocated for quarterly dividend payments, both of which were separate from its reported cash reserves now totaling $137.1 billion, a $16 billion increase over the previous quarter. In total, Apple generated cash flow of $23.4 billion in the winter quarter. Blowing its entire $10 billion stock buyback allocation early, it could theoretically take almost 22 million shares off the market, out of the company's 939 million outstanding shares. 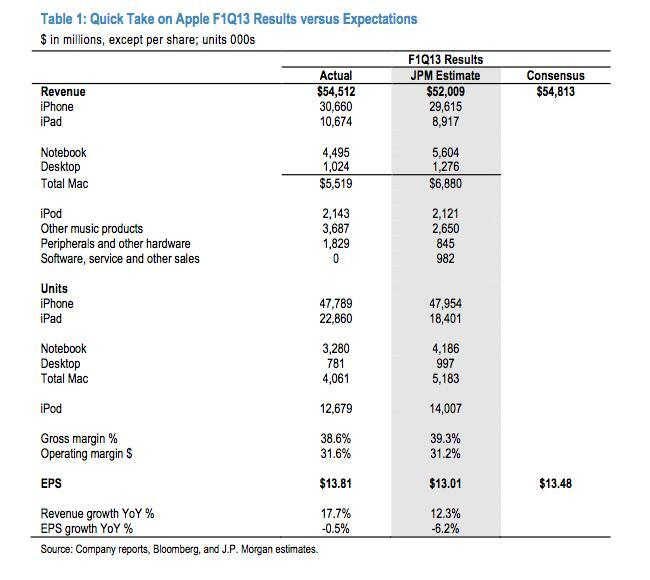 This would have an impact not only on EPS going forward but also on Apple's market cap. While it would subtract $10 billion from the company's calculated market cap right now, once its shares reach back up to previous highs that $10 billion bite would grow along with share prices, essentially requiring the share price to grow higher just to hit the same market valuation.